We’d love your help. Let us know what’s wrong with this preview of Orchestration by Cecil Forsyth. Before the 17th century, composers seldom indicated in their music whether the composition was to be performed by a particular combination of voices or instruments. Then in 1607 Monteverdi made a well-known suggestion for the orchestration of his opera Orfeo. And as the Baroque era unfolded, the concept of orchestrations began to evolve, achieving a notable clarity and the acceptance of a keyboard instrument as an integral part of the ensemble. Toward the middle of the 18th century, stylistic changes in instrumental music, e.g. styles that emphasized a single melodic line, directly affected methods of orchestration; while in the 19th century, orchestrations became an ever more vital factor in the composer's technique, a stylistic determinant that places a wealth of possibilities at his disposal. Finally, in the early 18th century, increasing awareness of the importance of internal balance, certain ideals of blended sound, and firmly established instrumental characteristics enabled orchestration to take its place as an academic discipline beside harmony and counterpoint. 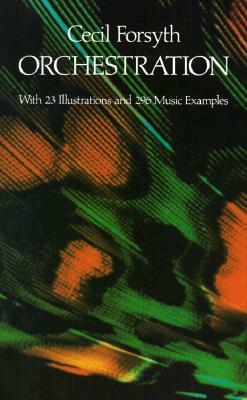 In this classic manual, a noted English composer describes 57 orchestral instruments (ca. 1914) tracing their origins, development, and status at the beginning of World War I. Not only are the history and evolution of each instrument fully discussed, the author also explores the techniques of each instrument, as well as players' impressions about what they must play. The result is an unparalleled insight into the inner working of an orchestra — a vivid impression of what it is like to be a violinist, clarinetist, trombonist, or other orchestral player. To ask other readers questions about Orchestration, please sign up. The books extensively covers historical background and construction of each instrument. It is mostly focused individual qualities instead of blending with other instruments like in Rimsky-Korsakov's book. Examples are mostly taken from Wagner/Strauss. If you read other positions like Adler, Blatter etc., this won't be a breakthrough, just different view on the subject. Even if you're not a musician Forsyth's bell époque style and British gumption are wonderfully refreshing in the age of twitspeak.